Bred for action, back for more. Pat Crawford has earned himself a handful of impressive awards over the years, but one unique knife has stood the test of time. Originally designed as a custom in 1979, Pat released the production Offbeat™ in 2017 and now, it’s back again. The Offbeat™ II is another stellar feather in this designer’s cap. From his shop in West Memphis, Arkansas, Pat has turned out customs that have set a seriously high precedent. That’s not to mention they’re consistently some of our most popular at CRKT®. Now, he’s back at it with the Offbeat™ II. 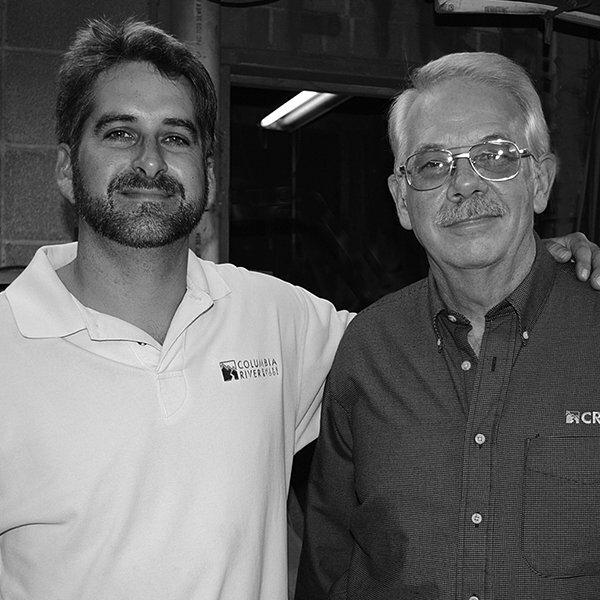 Before the CNC machine revolutionized our industry, Pat spent an inordinate amount of time cutting handles out of titanium and fitting folders together by hand. So, to expedite the process, he simplified his design. Inspired by a Boy Scout wire handle folder, he invented the Crawford Lockback—an innovation that has proven its worth and is the defining characteristic of the incredibly unique Offbeat™ and Offbeat™ II.